Dubai, UAE; 17 October 2018: Dubai's Department of Tourism & Commerce Marketing (Dubai Tourism) has announced the launch of a new social media competition under the #MyDubai initiative, offering Dubai residents the chance to win two Emirates return tickets for their friends and family to visit them in the city. Reflecting the enduring importance of Dubai's largely expatriate population in acting as advocates for the city, the competition calls on all residents to share compelling moments in their lives that highlight the diverse culture and soul of the city. Participants can submit their entries on the MyDubai Facebook page, or simply upload to their personal Instagram and Twitter accounts by using #MyDubai and #MyInvite. The competition will select two winners each week for 15 weeks starting from 15 October 2018 to 31 January 2019. With the competition set to showcase the pride expats have for Dubai as their home, it will give them the opportunity to show their friends and family the breadth and depth of the destination's offering, as they become advocates for the city. Mr Issam Kazim, CEO, Dubai Corporation for Tourism and Commerce Marketing said: “The passion for the emirate that exists amongst both UAE nationals and the communities of more than 200 nationalities living here is a key driver of Dubai's success. 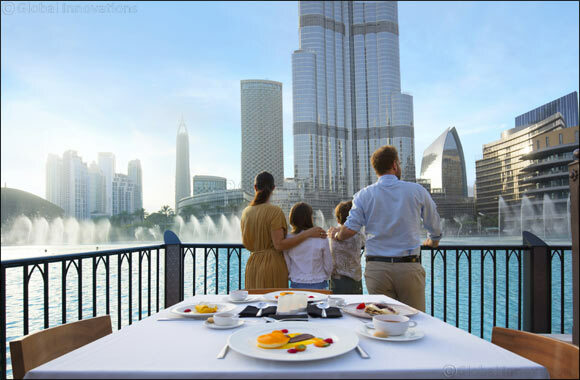 These residents take pride in posting about their experiences in the city, sharing special moments from Dubai with the world. The best advocates of a city are the people who live in it and through this campaign, we hope to encourage residents to highlight what truly lies beneath the urban and technological experiences and highlight why Dubai has maintained its position as the fourth most visited city in the world. What started out four years ago as a city-wide initiative to create the world's first autobiography of a city has today grown into a mammoth library of user-generated content that has allowed us to tell a unique story by capturing real-life dynamic moments that both residents and visitors experience in this remarkable destination”. Harnessing the power of user-generated content, the competition aims to drive increased visitation from expatriates' friends and families, and further facilitate an increased length of their stay in Dubai. The striking pictures, posts and videos submitted during the competition will form part of a dedicated microsite and will be re-shared across all #MyDubai social platforms.